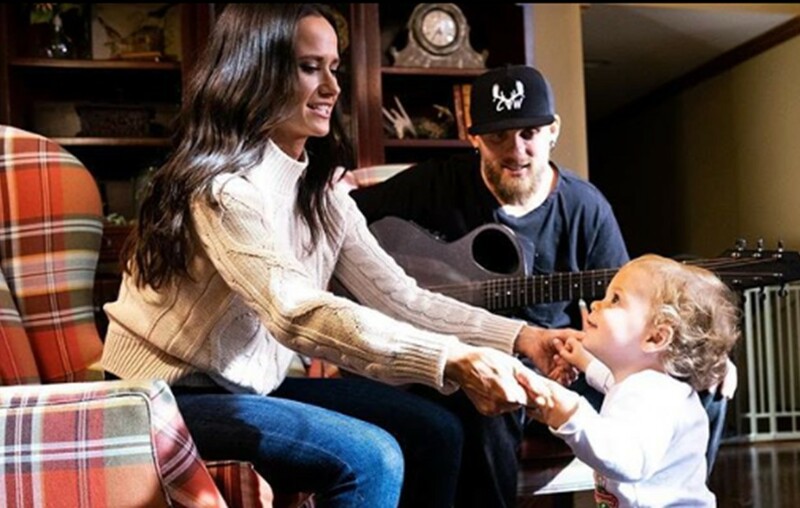 The apple doesn't fall far from the tree and that may mean trouble for Brantley Gilbert and his wife with their young son, Barrett. Brantley Gilbert is taking the phrase “Like Father, Like Son” to a whole new level. As a proud father to 17-month old son, Barrett, the country singer says that he is already starting to notice that his baby boy is starting to turn out just like him. And that is asking for trouble. Barrett is not all trouble, however, thankfully he has soft spots and shows a lot of his mothers side in many ways. While the soft spots are sweet, Gilbert says that Barrett has inherited traits of his such as occasional temper and being opinionated. Barrett was welcomed into the world on Nov. 11, 2017 as the first child for both parents. Gilbert and his wife Amber struggled for quite sometime with infertility, but they kept their hopes high. Gilbert is making sure some of his upcoming songs will be about his son and included in his imminent album. There’s nothing better than spending time with my beautiful family…. There is no expected release date for Gilbert’s new album as of now, however, you can check out his recent duet “What Happens in a Small Town” with Lindsay Ell. Make sure to share with other Brantley Gilbert fans!